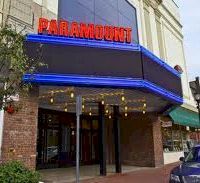 The Paramount brings live concert entertainment to Long Island. The Paramount is a unique urban space that will create a powerful and lasting impression for all. The Paramount has plenty of reserved parking and shuttles. This new venue replaced the formerly iconic IMAC as Huntington NY's musical center. The Parmaount is certainly slick and updated with about 3X the former capacity. About 75% of that capacity is standing room. Reserved and even VIP seating is either completely off to the side or in the back. The The Paramount is one of the top New York City venues for concerts and other events. Don't miss some of the biggest names in music as they come to New York City area's The Paramount to perform live.